Connecticut has a remarkable Civil War history, and although it is a small state, it was in many ways instrumental to the Union’s survival. 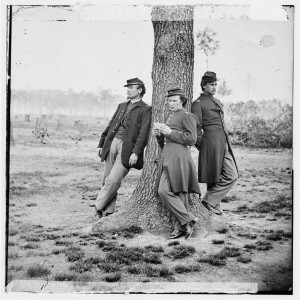 The history of that war surrounds Connecticut residents every day both in terms of its physical realities and in the lasting legacies of a complicated conflict that shook the nation between 1861 and 1865. Connecticut is home to more than 130 Civil War monuments. They adorn the centers of cities such as Hartford and Waterbury, dot small town greens from Branford to Northfield, and stand silently in sacred places like West Cemetery in Bristol and the Congregational Church in Kensington. Indeed, the Kensington monument, an obelisk made of Portland brownstone designed by Nelson Augustus Moore and dedicated in 1863, is the oldest in the north—and one of the oldest in the nation. Like these tangible memorials of the war, the legacies connected to race and slavery have continued well into the 21st century. It was in 2009 that the Connecticut General Assembly passed a resolution apologizing for the state’s involvement in and support of slavery. And yet the human sacrifice that the war required came home to Connecticut, as it did to every state. 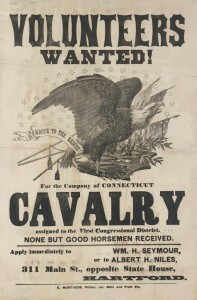 Some 55,000 Connecticut men joined the Union Army, a number which represented 47% of men between the ages of 15 and 50. Ten percent of these men died and many more suffered horrible wounds and the lasting memories of watching family and friends perish. Connecticut fielded 30 regiments, as well as cavalry and artillery units. This included one full African American regiment, the 29th Colored Regiment, as well as the beginnings of the 3oth Colored Regiment, which was ultimately folded into the 31st Regiment United States Colored Infantry. The level of black participation in Connecticut regiments was astounding, considering that the 1860 Federal Census revealed only 8,726 blacks living in the state, and of them only 2,206 were men between the ages of 15 and 50 (the most likely ages for service). Seventy-eight percent of eligible black men enrolled in the 29th and 30th regiments. Just over 15% of these men died as a result of the war. 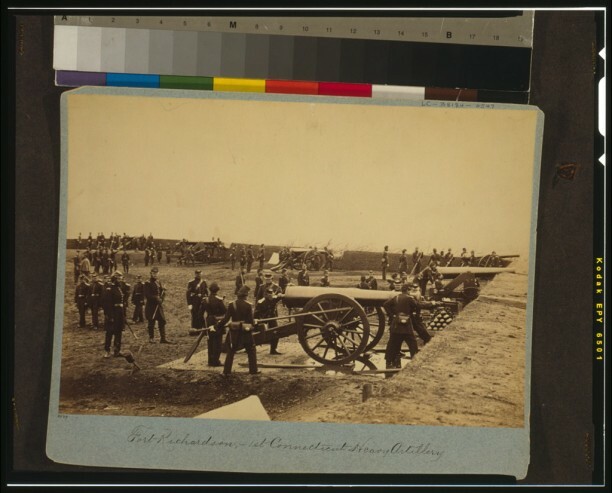 The state’s soldiers fought in every major engagement of the war: from Bull Run to Antietam and Gettysburg, in General William Tecumseh Sherman’s march on Atlanta and through the Carolinas, to the final days before Petersburg and Richmond. They wrote home, complained of army life, worried about their families, expressed their torment and frustration when battles went poorly, and questioned the war’s meaning as they saw comrades blown to pieces. 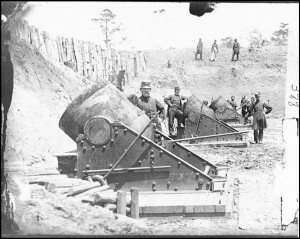 Such stories of suffering and victory were repeated by Connecticut men serving in regiments spread throughout the nation—in the west at Vicksburg, Mississippi, in the deep south of Louisiana, in Florida, the Carolinas, and in the defenses around Washington, D.C. Yet as much as these men suffered in the cause of war, those at home suffered too. Women gave constant attention to the needs of the soldiers in the field, and a virtual river of supplies poured through Connecticut’s soldiers’ aid societies. The Hartford Soldiers’ Aid Society became the central organizing body for all other state aid societies. Its first president, Sarah S. Cowen, constantly peppered newspapers with appeals, writing to the Hartford Daily Courant in May 1863, “It is hoped that the battles which are now being fought, and those constantly impending, may stimulate the humane public to new efforts in behalf of our sick and wounded soldiers.” The societies raised money, collected a wide assortment of garments, medical supplies, and books, as well as food. 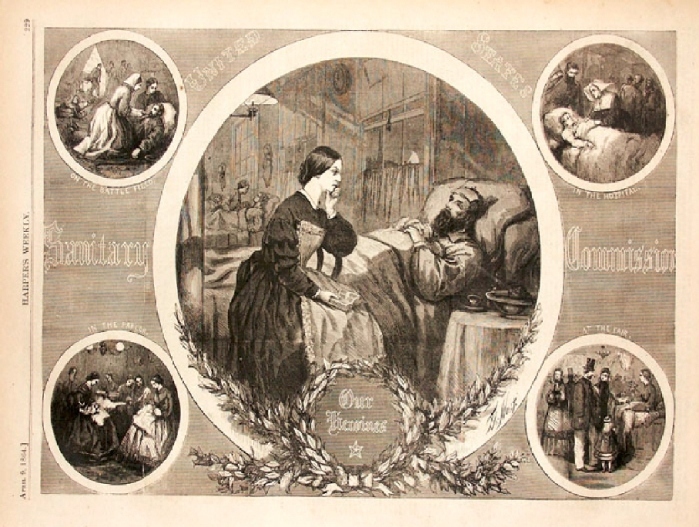 They collected just about every conceivable item and often received letters from soldiers, as well as regimental chaplains and surgeons, requesting specific materials. On occasion, women slipped notes into boxes or garments. Ellen M. Sprague of Andover stuffed the following into a sock: “My dear Friend and brother in our Country’s cause: To your care and keeping I commit these socks, and trust they may never be disgraced by any conduct of their wearer. Loyal fingers fashioned them, and may a patriot’s tread, whose very step shall tell against our rebel foes, wear them threadbare (if need be) in crushing the wicked rebellion. In every stitch is knit a prayer for our nation’s weal, and the hope that peace may smile upon our land long ere these be unfit for use.” (Her letter was published in The Courant in March 1863.) Women also traveled to battlefields before the cannons had cooled to care for the sick and wounded. They met troop trains arriving in Connecticut and helped set up hospitals to care for the men. They attended funeral after funeral, and no one in Connecticut escaped the ravages of war. Yet the home-front effort was not solely about the relief of suffering or providing the material comforts of home to those on the battlefield. Another part of Connecticut’s workforce diligently produced every means of destruction. Home to a remarkable array of arms and munition companies, and then to a host of newcomers once the war began, the Nutmeg State was a virtual arsenal. The most well-known manufacturers are Colt’s Patent Fire-Arms Manufacturing Company (Hartford), Eli Whitney Jr. Company (New Haven), Sharps Rifle Manufacturing Company (Hartford), and Savage Revolving Fire Arms (Middletown). Yet, there were others in the state, such as the Connecticut Arms Company in Norfolk, William Muir in Windsor Locks, and the Norwich Arms Company. There were also a host of smaller subcontractors. Additionally, firms like Collins & Company, in Collinsville, the same company that had made a portion of John Brown’s infamous pikes for his raid on the federal armory in Harper’s Ferry, Virginia, in 1859, produced swords and bayonets; and Hotchkiss & Sons in Sharon manufactured all sorts of newly designed artillery shells. Arms historian David J. Naumec wrote, “Connecticut’s firearms industry achieved an unrivaled degree of success during the Civil War, manufacturing enough firearms to equip a large portion of the Union armies.” Many of the state’s manufacturers were also innovators. Between 1862 and 1863, more than 70 patents were issued to Connecticut inventors, the vast majority, some 75%, for weaponry. The massive outpouring of support for the war makes it seem like Connecticut was largely unified in its dedication to the Lincoln administration and the war effort, but nothing could be further from the truth. Nearly half of Connecticut’s population was steadfastly opposed to fighting the South. The state descended into chaos at the start of the war, splitting into warring Republican and Democratic factions that sometimes faced off violently. Before the Southern states even seceded, the two parties faced off in the 1860 gubernatorial election, a contest that would decide the level of the state’s involvement once the war began. Democrats pitted the popular former governor Thomas H. Seymour against Governor William A. Buckingham. Fearing a Republican defeat, the party pulled Abraham Lincoln from his travels in New York and New Hampshire, and in March 1860 he delivered five speeches in Connecticut. Buckingham won the election by a mere 541 votes, receiving 44,458 to Seymour’s 43,917, with some 10,000 more votes cast than in the previous year’s election. Although the raising of peace flags and violent opposition in the streets declined over the course of the war, the animosity and struggle for political control continued. Most significant was the 1863 gubernatorial election, which once again placed Governor Buckingham against Seymour. 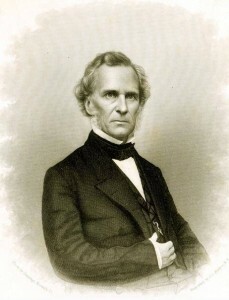 Had Buckingham lost this pivotal election, his defeat could have ended Connecticut’s support for the Lincoln administration and the Union. The focal point of the contest became the opinions of soldiers at the front. The Courant and The Hartford Times published dozens of soldiers’ letters and regimental resolutions advocating either Buckingham or Seymour for governor. It was the most concentrated, sustained political effort of the war. A soldier from the 27th Regiment wrote, in a letter published in The Courant, “I hope, in all favor, that our friends will not allow Tom Seymour to be elected Governor of Connecticut. Don’t do it! For mercy’s sake, don’t let him be Governor.” A soldier from the 22nd shot back, “Almost to a man, rank and file, heartily endorse the nomination of Gov. Seymour, and daily wish and pray that he may be elected.” Ultimately, Buckingham won the election by just 2,634 votes, almost precisely the number of Union soldiers furloughed to return home and cast ballots. Democrats charged fraud, and the uneasy dispute over the war continued well through its end. To some extent, the differences between Republicans and Democrats grew to encompass the issue of race. Though Republicans had not inaugurated the war to free America’s nearly four million enslaved, once the conflict was in earnest, emancipation became a means to win. Lincoln’s Emancipation Proclamation sapped the South of its labor force, and Republicans came to accept this necessity. Democrats utterly refused, and railed against a war waged for abolition.The reality, however, was that emancipation and abolition were not the same. Emancipation placed the needs of the Union ahead of the needs of slaves; it was not about black social and political equality. Abolition was the opposite. It was focused on equality and human rights, and in the minds of many endangered the Union. Lincoln had famously stated, “If I could save the Union without freeing any slave I would do it, and if I could save it by freeing all the slaves I would do it; and if I could save it by freeing some and leaving others alone I would also do that.” This was the difference between emancipation and abolition, and it accurately reflected attitudes in Connecticut. In the spring of 1865, the General Assembly passed an amendment to the state constitution removing the word “white” in determining who could vote, and scheduled an October referendum on the subject. The change was overwhelmingly rejected by Connecticut voters, and it was Republican votes that secured the amendment’s defeat. The state’s residents may have ultimately supported emancipation, but they were not advocates of black civic equality—they were not abolitionists. This legacy of racial intolerance, as well as that of the sacrifices of Connecticut soldiers and those on the home front, is symbolized in the state’s Civil War monuments. That today we understand the war as the death knell of slavery does not mean that those who fought the conflict meant it to be so. It was a result of the war, but not an intent. Matthew Warshauer, PhD, is a Professor of History at Central Connecticut State University. Fiske, Samuel. Mr. Dunn Browne’s Experiences in the Army. Boston; New York: Nichols and Noyes, 1866. Link.